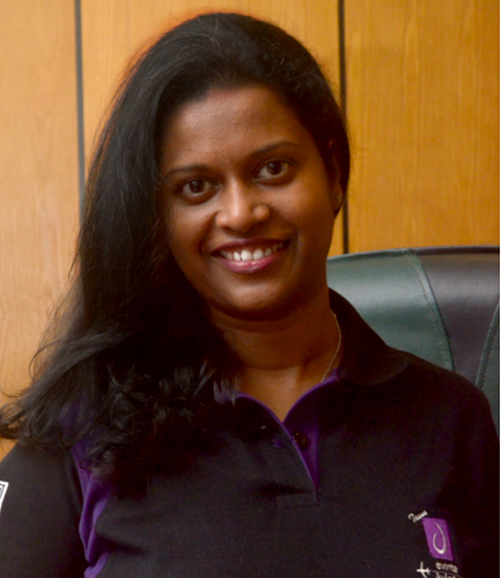 Colombo, September 5th, 2016 –Armed with years of experience in rolling out Departure Control Systems at busy airports across the world, Uthpala Kumara – Head of Aviation at JKCS, reveals why it is critical for airports to have a “live” back-up in case the main Departure Control System has an outage. Introducing a back-up or redundant departure control system (DCS) protects airlines from system outages and enables airport operations to continue with minimal impact. Q: How is a back-up DCS different to a regular Departure Control System? A: The purpose of a Back-up Departure Control System is to quickly take over when the main system fails. Check-in staff don’t have a lot of time adapt. So, a good back-up Departure Control System has to be very easy to use and offer the same features as the main DCS. Additionally, it should have all the passenger information and check-in and boarding data right up to the time of the outage. Then the whole check-in, boarding and flight departure process can carry on as before with passengers being none the wiser about an outage. Q: How important is a Back-up DCS? A: It is essential to airports now, more than ever. System disruptions have a massive cost impact on airlines and ground handlers. This is in addition to an airline’s brand damage and poor guest experiences. The financial impact of a system wide outage would be in the region of USD 160,000 per canceled flight! No airline wants to play those odds and, experience tells us that odds of an IT failure are higher than we’d expect. Hub airports experience up to nine outages per year. That’s a lot of unhappy passengers. They say it takes 20 years to build a reputation and five minutes to ruin it. So it’s much better to invest in a fail over system today than to face a massive penalty bill and a social media frenzy tomorrow. Q: How do you implement a back-up DCS and how does it function? A: Installing a back-up is really the same as setting up a regular DCS, the only difference is that it is on standby to switch on, the minute the airport supervisor hails for help. A crucial middle step to build a link to the main system and have it thoroughly tested to see if all data transmits accurately. Our Evinta Back-up DCS is both cloud and locally hosted. So it’s convenient for users. Once the call is made to switch, processes are shifted to the back-up installation seamlessly, and users and passengers don’t feel a thing and can operate as before. We are certified on all top platforms. But Evinta can perform independent of airport platforms too. So there is little dependency on the airport environment. The best part here is that the Evinta back-up DCS is capable of being implemented per airport and at a downtime while other airports operate via the primary DCS, the back-up can be activated for one airport instance. This can run for up to 48 hours giving more than sufficient time for the primary to fix and get the systems back online. Once the primary DCS is up and we are updated with the status, the Evinta back-up DCS transmits the data back to the primary. The process once again runs seamlessly back to base. Then we close the loop. Q: What are the real positive impacts you have provided your clients with it so far? A: Right now with our Evinta Back-up DCS, we operate in over 24 countries and 90+ airports, Weekly we cover over 2000 flights and over 200,000 passengers. In the past two years for one of our flagship clients based out of Australia, we have activated the back-up DCS during several key outages and saved a great deal of cost which would otherwise have burnt a considerable hole in their revenue. We haven’t just stopped there. Making life easier for our clients is our prime focus so we took it a step ahead. Our DCS’ operations can be monitored from anywhere in the world via the Evinta DCS Monitoring Dashboard and it can also accommodate any other devices such as mobile and Hand Held Check-in. After all, we have to think beyond basics in this day and age and ensure that the product is dynamic enough to be used in any given environment with little or no hassle. Q: What is the key message you want to give to the aviation industry? A: Demand for air travel is surging with passenger numbers rising to 3.7 billion. When it comes to catering to this growth, ground handlers, airlines and airports need to start prepping now with contingency plans. Strategies have to be in place for the long run. Being reactive to a disruptive situation is not an option if you want to sustain the business and better yet, make money off the growing passenger numbers.